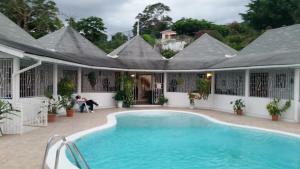 Located in Montego Bay, this air-conditioned villa features an outdoor pool. 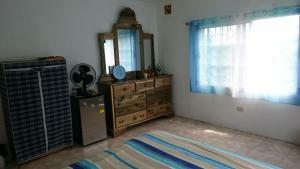 The property features views of the sea and is 30 mi from Negril. Free WiFi is provided throughout the property and free private parking is available on site. The unit is fitted with a kitchen. Towels and bed linen are available at Hils Court Villa. Other facilities at Hils Court Villa include a year-round outdoor pool. You can play tennis at the property, and the area is popular for golfing, having 3 golf courses nearby. Overnight security is offered to ensure safety and comfort. Rose Hall is 9.9 mi away. while Montego Bay Airport is 4.3 mi from the property.